CIP3 computerized colour control, perfect register on multi-pass work and full size inking system. 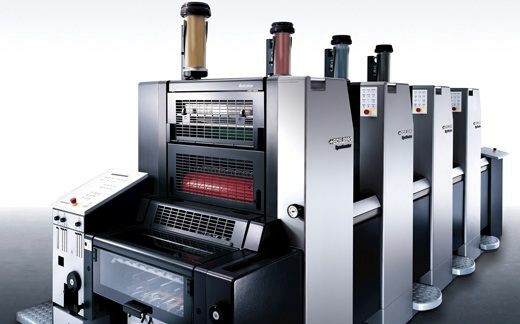 The Heilderberg SM52 has an oline AQ coater (short for "Aqueous Coating") which appies a clear coating to the entire surface, used to protect and enhance the printing underneath. It provides a light luster to the printed product, speeds up dry times, minimizes finger prints, and adds more scuff protection.